Hitachi Data Systems, a wholly owned subsidiary of Hitachi, announced the appointment of Milan Dantanarayana as country sales head for Sri Lanka. This appointment underscores the company’s commitment to provide greater focus and support to local customers and partners, as well as to execute on growth objectives in extending market share in Sri Lanka and the Maldives. Dantanarayana is an experienced sales and marketing professional with technical, presales, services and channel experiences. 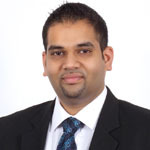 He has worked in multiple multinational organisations such as Hewlett-Packard, Cisco and IBM.